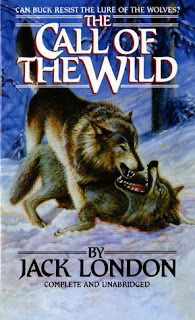 I read White Fang long before I discovered this more famous dog story set in Alaska by Jack London. Maybe, if I had read this one first, this would have been my preferred story, but probably not. White Fang was much more my cup of tea. For one thing, it has a happier ending and a lot less death. This one is pretty dark with dogs dying of starvation and ill treatment and people getting killed by their own stupidity, too. There are way too many stories of dog abuse and beatings for my taste. It's a classic and it's well done but I won't be reading it again and again. If you haven't read it, you should, but if White Fang and Call of the Wild were hanging off the edge of a cliff and I could only save one, it would be White Fang, no question.